Vintage Helios piano center pin and tuning pin gage. Made in Germany. This piano tuning gage is marked Helios and Germany. 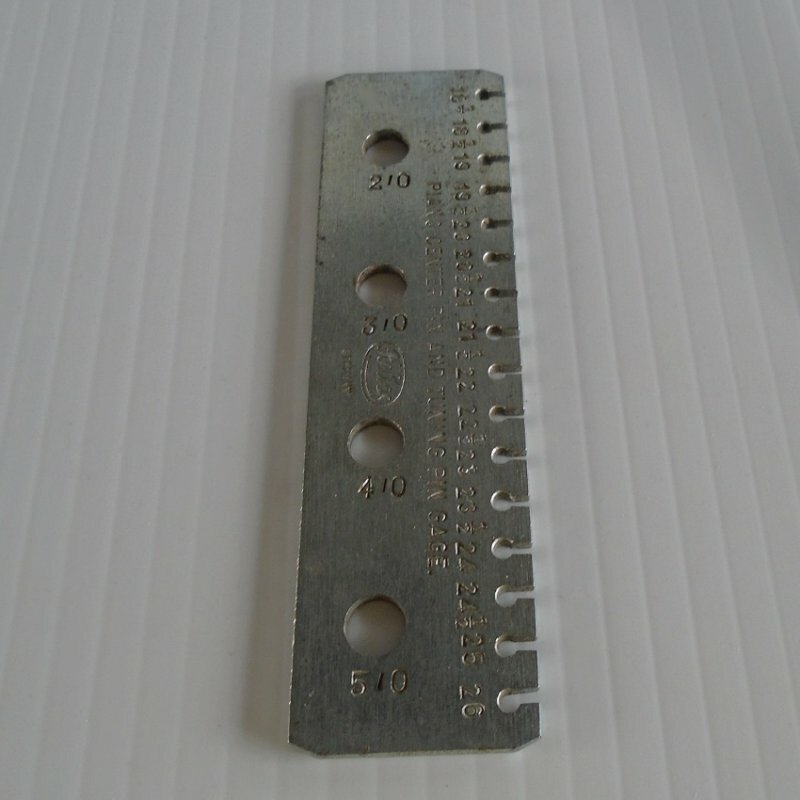 It measures 4.25 inches long by just under 1.25 inches tall. 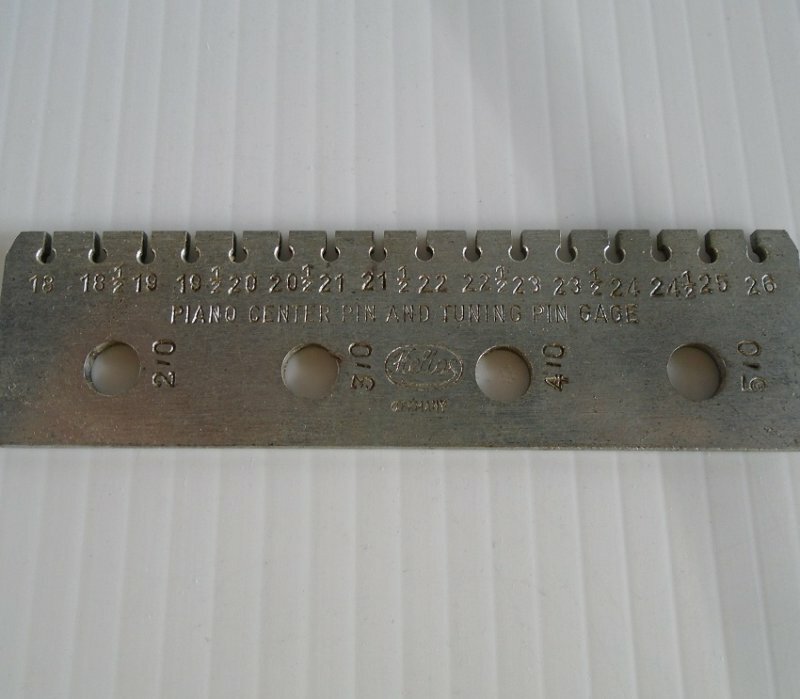 It has the numbers 18 through 26 (with halves) on the upper slots and the holes at the bottom say 2/0, 3/0, 4/0, 5/0. I obtained it from an estate sale and had never seen one of these before, so am not sure exactly how to describe it. There are several small rust dots, but I'd think those can be removed with steel wool. Selling 'as is'.